Is 'one parent, one language' the gold standard for bilingual families? You are here: Home / Education / Is ‘one parent, one language’ the gold standard for bilingual families? Is ‘one parent, one language’ the gold standard for bilingual families? One most popular, if not the most popular, ‘method’ for rasing bilingual children is ‘one parent, one language’ (OPOL). Generally speaking it’s important to be consistent with the language in which one speaks to a child, especially when children are just beginning to talk – ie. Mum speaks Spanish, Dad English. It means the child learns to distinguish between the languages spoken at home, and out in the real world. It’s a method that, broadly, we’ve followed with our daughter. Even at age two and a half we clearly notice that she uses much more Spanish in Spnish environments, much more English in English ones. Reinforcing the ‘correctness’ of vocabluary in the other language can be beneficial. Consistency is important to know where they are with their language. However, there are times when deviating from the rule if the other parent is at least partially skilled in both languages. Say for example, the child is asking/telling you ‘es una fresa?’ (it’s a strawberry) it’s probably better to answer, ‘Si, es una fresa. In English it’s a strawberry. Fresa en espanol. Strawberry in English’. Doing this does not negate the original utterance (simply saying it’s a strawberry might leave the child thinking they were mistaken). It reinforces it. There are other situations were a modest deviation from the one parent, one language rule can be helpful and not a hinderance. In some families parents may communicate in just one language all the time. In others they may effectively mix and match between to languages. It generally isn’t important to the child which language or languages parents are speaking to one another. There is certainly no reason to standardise a language when speaking in front of the children. In fact, it’s probably helpful if ‘family discussions’ can and do take part in either language at different times as this means one language is not relegated to second-class status. Children are naturally skilled at differentiating between different languages. Many societies are naturally multilingual. Childrens’ brains don’t explode. Sometimes of course a child just simply understands a concept better in the other language and for the sake of getting them to get the message the other parent may switch languages. This is not going to do much harm. Probably less harm than the children sticking their fingers in an electrical socket or running into a busy road! What’s more important for the child’s language development is plenty of quality interaction with parent that speaks language one and the parent that speaks language two. That’s where it really makes a difference and where consistency helps, especially when out and about. The parents should continue speaking their own language to the child, otherwise one language risks being relegated to the ‘wierd home language’. While you will read a lot of information about the terrible dangers of ‘language’ mixing, don’t sweat it. In some multilingual societies languages are mixed and blended and contorted into a huge cacophony and children still manage to cope just fine. The one parent one language rule is a good rule of thumb, a good foundation or starting point, but you’ll soon learn works for you in your own unqiue family setting. Good luck! Thanks for the advice! I have another question about bilingual parenting methods….my husband and I are expecting, and planning to raise our child as a bilingual Mandarin and English speaker in the U.S. I am a native English speaker with upper-intermediate Mandarin skills. He is a native Mandarin speaker with advanced-high English skills. For at least a while, I will be at home with the baby during the day while he’s at work, so if we go with the “one parent, one language” method, the baby will get much more exposure to English than Mandarin. I love speaking Chinese and would be happy to do so with the baby sometimes, but I can’t imagine speaking only Chinese with the baby, and I’m concerned that switching back and forth would be confusing for the child. Do you have any advice for the best approach in this situation? I appreciate any suggestions! Hi, first of all, apologies for not replying earlier, but have been caught up in baby stuff. You will know soon enough how busy it gets! With regards to the “one parent- one language”, in my opinion, the theory behind it is that 1 parent makes 50% of the time, so 2 parents make 100% of the time. In an ideal world you and your husband would have 100% time with your child, meaning he gets 50% Chinese, 50% English. If one parent does English and Chinese and the other parent only English “in theory” the exposure time of the kid to Chinese will be decreased in relation to English. That’s the backbone of the “one parent-one language”, exposure time. Basically, one of the main issues for bilingual children is exposure time, and we, as their parents, need to maximize the exposure time. However, in your situation, it doesn’t seem to me that “one parent-one language” is going to maximize the exposure time, especially since once children get into daycare and school, English will be at the top. Basically, you need to look for ways to maximize the exposure time of both languages. English is safe with environment, family and school. You need to work on the Chinese. In my humble opinion, if your husband is away working most of the day and you are at home with baby… it’s a no brainer talk to him/her in Chinese as much as you can. I am sure there will be Chinese groups/school in your area, join them. With regards to what amount of time you will speak to him/her in Chinese, well, you need to find a balance you are comfortable with. I speak to mine in French and Spanish. For me doing it in whole days at a time works. For instance, one day Spanish, the next day French. At the moment, we do Spanish on Tuesdays and Wednesdays, because we go to groups with Spanish speaking people, so it makes sense. Then Mondays and Thursdays we do French, and Fridays, Saturdays and Sundays depends on who we are with, Spanish friends-French friends. But we stick to French or Spanish for the whole day. Will he get confused? No. Will he mixed the languages? Yes, at the beginning. My daughter says some things in English, some things in Spanish, and some things in French. She is not three yet, but she is starting to separate languages depending who she speaks to. I had a friend in a village in Valencia, the first year I met her sister I could not understand a word she said, she spoke a weird mix of Valencia and Spanish. Every subsequent summer I understood more, until the summer she was about 6-7 and she spoke to me in perfect, flawless Spanish. In that area of Spain in the villages, parents speak both and mixed them, none of the kids’ brains melt and they all manage to become bilingual. Go figure! I wonder whether you might contact me (can’t find an email address on the site) as we have a PR enquiry for you regarding bilingualism! Hello! I have a question too. Although I’m not pregnant yet, I’m already thinking about raising my children bilingually. We live in Belgium and both me and my husband speak Dutch (mother tongue). I have a master’s degree in English and would very much like to raise our children in both Dutch and English. My husband would talk Dutch to them, I would speak English. What I’m wondering is, will our kids be confused as to why I speak English with them, but use Dutch to communicate with their dad? Will they refuse to speak English to me when they realize I can perfectly understand and talk Dutch? Should I speak English to my husband as well? Instinctively, I would choose the OPOL method, but I’ve found out about the ML@H method today. Do you have any idea which method would be most appropriate for us as a family? We’ve considered speaking English to each other as well, but my husband’s English is nowhere near perfect (although I’m certain he would get much better very quickly if he were to speak it every day). I should also mention that English is ubiquitous in Belgium. We have lots of ads that use English taglines, series and movies are subtitled (as opposed to dubbed like they do in France), etc. which is mainly how I picked up English in the first place. I’m just adding this to my post to clarify that our children will be exposed to the English language to a high degree, so it woudn’t just be me talking English to them. Belgium itself has three official languages (Dutch, French and German), but English isn’t one of them. We don’t know any English-speaking families (or we don’t know them well, and the families we do know have kids that speak Dutch too) so apart from me, our children will only get exposure to English in popular culture. Do you think that’s a problem? I think it would be a fantastic idea to introduce English from day one. The real point of encouraging bilingualism rather than simply introducing the idea of language-learning sometime in childhood, is that the language is absorbed as easily as the native tongue. The outcome being that the language-level is much higher as it’s absorbed natively and naturally. I think in some regards the avalanche of linguistic, psychological and pedagogical research, while fascinating, can overcomplicate matters. In regions where a minority language is spoken, such as Welsh, bilingual children will often be used to hearing their parents speaking both languages at different times and their brains don’t explode. As you say, English learners internationally have the advantage of English brand names and phrases being virtually global so there’s not an issue of ‘What is this funny language you’re speaking?’ – even better if TV shows are aired with subtitles! This ease with which you can create an English-rich environment may mean either method you mention could work perfectly well. Also you don’t say where you are in Belgium but we live in a provincial English city and there’s a very large international community so our children can attend play groups where they will hear Spanish and French spoken in a natural way. If nothing of this nature seems to be happing in your area, it’s quite easy to start a group. Perhaps there are English-speaking parents looking to learn Dutch? With social media it’s more easy than ever before to find people in the same position. I am married to a Brazilian who speaks intermediate English. I speak English and Portuguese fluently. I speak a mixture with my wife and almost exclusively English with my Children. My wife speaks almost exclusively Portuguese with the kids. At this point my older son, who is 6, speaks, reads and is learning to write both languages fluently. My younger son, who is three, speaks both but is still learning when to use one or the other. We have changed over the years. Initially we lived in the US and as a family spoke almost only Portuguese at home. Now that we are in Brazil I work much harder to speak English. I have seen a lot of families in the US whose parents speak another language but the kids have rejected it for English and barely speak the parents native language any more. I have really emphasized to my children that have two languages gives them a heads up. Now we are trying to decide on a third language to tackle as a family. Well done! It´s a great example of bilingual families! Thank you for this informative article. My husband is German and I am Canadian (English-speaking), living in Canada, and since day 1 we’ve used OPOL with our now 2 year old. His language skills are very good – great vocabulary in both languages, and almost always distinguishes between speaking with me in ENG and my husband in DEU. My question is: we’ve found some other German families and are planning to start a playgroup. Yay! My son needs MUCH more exposure to German. I’m the one who is home, so I would take him to the playgroup and though I can speak and understand DEU, I don’t because we stick quite closely to OPOL. If I start speaking German at playgroup with other parents and with my son, I know his head won’t explode but is this a bad idea? Hello Janine, sorry for the delay, with Easter and all things get a bit hectic. I think the idea of using OPOL is to give your child the maximum exposure in both languages. However, if by sticking to OPOL your child is missing out in exposure, i.e. your husband can’t take your child to the playgroup but you can, then it’s a no brainer. As I understand it, if you stick to OPOL you couldn’t really take your child to the group, or at least you would be interacting in English with your child in front of the rest of the group who would be speaking in German. This would both disrupt your child’s exposure to German during the group and it would also disrupt the experience for the rest of the group who probably see this opportunity as their “German” moment of the week. I don’t think speaking German with your child during these meetings is going to kill either you or your child as you say. On the contrary, you may have the chance to improve your German so you can support his language acquisition in future when he goes to school and English gets the upper hand. These groups are also a great way of socializing, and many life-long friendships have come out of groups like this, giving your child the chance to maintain a link with his German roots in future, when he grows up and unavoidably he gets engrossed in the local culture, school, high-school, university, etc. As an example, in my Spanish playgroup there is a lady who comes with her toddler and baby. She is English and her husband is English, but they speak Spanish quite well. I wouldn’t say 100% fluent, but 60-75% at least. At home the do OPOL, he does Spanish, she does English. As she is the only one who can come to the group, she speaks Spanish with us all the time. So much so, that at an English party I heard her speaking English for the first time and was surprised! Anyway, her daughter was an early talker and developed both languages at the same time. She speaks Spanish even better than some of the other children who have a Spanish speaking parent. So, no I don’t think it’s a bad idea, I think it will be great for both of you to join in the group and forget OPOL during the events. Hi Prashanth, and first of all, let me apologise for taking so long replying, but it’s been quite a hectic year. First of all you 19 month old, now more like over 2 years, is quite little. At that age most children I know are lucky if they say a few comprehensible words. My eldest didn’t really start putting words together till almost 3. Some children do start speaking earlier, but it doesn’t have anything to do with bilingualism, it has to do with how the child is. Some children speak earlier and some later, the same some start walking at 10 months and some at nearly 2 years. Will she get confused? Not nicely. The ones who get confused are adults, and they tend to pass this feeling onto everybody else. A child who is 4 and only speaks English, let’s say, will get confuse is suddenly his father starts to speak to him in Arabic after having known him speaking English all his life. This actually happened to the child of a friend of mine, whose father had the “great” idea of waiting till the kid knew well English to “teach” him Arabic, of course, needless to say after the 4 year old laughed to his face (Arabic sounds really funny to a 4 year old who’s never heard it) he never talked to him in Arabic again. Shame! A baby is a blank slate and we write on it. If from day 1 the baby hears his mum speak one language, his dad speak another language, and then both Hindi and English, that is the baby’s reality. There is nothing to get confused about, as that is his world and his culture, and that is what for him “family” means. For instance, a friend of mine was born in Africa from Indian parents. At home her parents spoke Portuguese among themselves, English with the whole family and at school she spoke English and a local language. When she came to Europe for the first time she was quite shocked that people in France spoke French in the streets and the telly was all in French. She expected it to be like her area in Africa, everybody had their different local languages and dialects, but then everybody used English to communicate and telly was in English. She was surprised that I wouldn’t speak to my mum in English! So, in a nutshell, the answer is no, she won’t get confused and yes, it is normal that at 19 months she only says mum and dad. I am sure by now, she must be 2, she is speaking more. The only thing I would say is that she won’t probably learn Hindi if you only speak it among yourselves and not to her, but I don’t know if it’s your intention for her to learn that language or not. Let us know how you’re getting on. I am glad I found your website! It is enormously thought provoking, particularly reading about other people’s experiences. My wife is about to give birth to our first child together, so we are thinking about how we will raise him. She already has another child who speaks both English and Tagalog.. mainly Tagalog, but is educated in English. However I am a little worried Tagalog will become the main/majority language during his first few years on this Earth, as my wife will be with our child solely, along with my mother-in-law speaking Tagalog in Manila. Then when they relocate to be with me, early next year, my wife will be with him throughout the day speaking Tagalog and he will only gain exposure in English for a relatively short period of time each day, after I arrive home from work. I want him to become bilingual, or even trilingual and have the skills that I have still yet to acquire. Although I do not want it to have a detrimental affect on his acquisition of English, especially when he starts nursery and then school in Scotland in a few years. I can see how it could be a problem that your new baby only gets Tagalog most of the time. However, I would say that where you live there must be a number of expats from English speaking countries and as it happens in the UK, mums will pull forces together to organise lots of playgroups and get-togethers. From my experience in the UK, I can tell you that I have met couples of expats who come from the same country, for instance two Spaniards or two Italians, the kids’ mother tongue is the home language, however, I was surprised to note that most kids just learnt English even before going to school or nursery just by the social interaction their parents had with English speakers, playgroups, play-dates, going shopping, everyday activities, etc. So, I woudn’t worry so much about all the Tagalog input he’s going to get, without forgetting to maintain the English of course. * English speaking playgroups. Join expat forums in your area and find out about the groups that already exist or see if you can put up a nice group of mums and dad with babies. * Get your wife to Skype with your family in Scotland or English speaking friends during the day when you’re not there. * Get CBBies, the BBC has great programmes for babies and toddlers. Then you can get activity books based on these to do with baby when you’re home. The older brother can help as well? * Another option is if you have the space is getting an English speaking aupair. Those are some suggestions, but I am sure you will find lots of others from parents in a similar situation in your area. From my personal experience the thing that works the best is the social network (not computer ones) but real people that you see regularly. You will meet lots of parents in your situation in playgroups and in any expat forum you may have in your area. Hello, I am so grateful for the founder of this website as it contains invaluable information in the field of language acquisition. I am an Arab and my native language is Arabic. I live in Saudi Arabia with my wife who is Chinese and her mother tongue is Mandarin. we merely communicate in English as none of us is able to speak the language of each other. Our English is very good as both of us are Master holder in English. Our first son is nearly 5 years old. I came to know the OPOL approach via a colleague and so interested as it answered many inquiries in mind. Now, according to the theory, each one of us will speak his/her native language at equal term. I guess Arabic will be at the top as my son can hardly be exposed to Mandarin in our community except with his mom. my question is will my son be able to acquire English as I only speak English with his mom. and if so, will he be capable of mastering English? I think it does depend largely on each individual. I met a girl in Germany who was fluent, to nearly native standard, because her parents spoke English at home. Dad was German and mum was from the Philippines and they wanted her to speak fluent English to be able to communicate with her family in the Philippines. They decided English would be much more useful than the local language in the Philippines. She also spoke German, of course. From her story and from what I have observed from other families in which parents spoke one language among themselves and a different language to the kids, is that if you want your son to be an “active” speaker you need to include him in the conversations, make it an active language for him, not a “passive” one. If he just listens, he may well understand English, but it doesn’t necessarily mean he will be able to speak it or write it to any meaningful degree. If you want him to speak and communicate in English, then you have to include him in the conversations and make it clear that he is expected to answer in English. I don’t know at what stage you are now, if he doesn’t know any English at all, as he’s already 5 years old, you can ease him into things by dong something fun in English, or starting with little everyday activities in English! Taking hime to English speaking playgroups, singing songs, etc. By Kendall King, Alison Mackey. regarding the previous post, i made a mistake. my son is 5 months. sorry for the typo error. As he is just 5 months, you won’t have a problem if you just start speaking to him in English. He will just accept that’s how things are. I have spoken in French and Spanish to my daughters since they were babies. My 4 year old knows that we speak French on French school days, Spanish at any other time, English with dad and French with French mums. I didn’t drill this into her, she has just worked it out by herself. I did only mention that on French school days we speak French. So, if you continue speaking Arabic, your wife Mandarin, and then just between yourselves English, but then pick up a moment where you would also expect him to speak English. You can have English days, or English dinners… it depends what it works for you. But it has to become clear that it’s an active language, not a passive one he would just listen to. I am an Arab and speak Arabic, my wife is from China and she speaks Mandarin. Our communication is through English. We have a son who is 1 year and 7 months. he lived with me from the age 4-month to 9-month, then he traveled to China with his mom. He arrived last month to live with me in Saudi Arabia with him mom. Now, he is 1 year and 7 month. I started to adopt the OPOL theory, as I speak to him in Arabic and his mom Mandarin. I noticed he was blurred at the beginning, but gradually he is making a good progress. He still produces sound like “Blalalala” whenever he listens to me speaking to another person in Arabic, but never did so when Mandarin is spoken. As he was not exposed to Arabic for the last 9 months, I am so worried if he can learn Arabic properly. Regarding acquiring English, i suggested to my wife speaking English to our son from time to time would make English an active language, however, she is worried as he receives so much inputs these days, and she is afraid he might be confused. So, do you think it is a good idea to speak English to him? And how about watching English Channels, would that have a good impact on learning English? Thank you for telling us about your family. It is indeed a very interesting mix of languages. I’d say that following the OPOL is right in your case. However, as between yourselves you speak English, it may also be a good idea to include him in the conversation. I don’t think he will get confused. Children can tell the difference between languages from quite earlier on. Besides, by now he would have recognised Mandarin as mum’s language, Arabic as dad’s language, and English as the language you speak to each other. You may want to use English with him in certain situations, so he can connect: Mandarin mum, Arabic dad, and English when we are watching the English channel, for instance. Having TV and DVDs in English is a good idea, although it won’t help much communication, as watching TV is a passive activity. It will certainly support the understanding, but the main input should come from you two and real people. Get a babysitter who can come and play with him regularly, join in groups of English speaking expats, I am sure there will be lots of English speaking playgroups. You son is still little, so the dynamics may change in the future. It’s quite normal that he prefers speaking Arabic to you since it’s your own language, and children can see that. They develop a relationship to a language the same way they develop a relationship to people. So, for instance, he will see you speak Arabic and it’s the language you use to communicate to family and friends. He probably, even at such a tender age, realises that English is a bit of an “artificial” language, there are no emotional links as I imagine you don’t have English speaking family, like grandparents, cousins, etc. So, a reluctance to speak it is just natural, it doesn’t mean it can’t be overcome with time, or that he needs to be forced either way. You just need to be patient and try to keep a healthy balance between not forcing it on him too much, but don’t drop it. So, for instance, to play the piano well at 20, you need to practice a lot when you are young, if your parents just gave up at the first sing of you saying “it’s boring” then you would never play the piano, and start thinking “I can give up” when I find something slightly challenging. You don’t want to make him hate it either, so the best way to do it may vary from kid to kid. Just try to keep coming up with activities that he enjoys where you can use English. I don’t know, for instance lots of boys like football, so maybe practicing football, watching football related programmes, football related activities in English may be a good idea. Hi Delphine, I would say “don’t worry”, some children, even monolingual children don’t start speaking until they are almost 4. However, if you’re concerned, here in the UK, health visitors tend to be very friendly and supportive. Contact your local health visitor and explain your situation. I am sure it’s just a normal stage, and it’s normal to worry, we all do, and everybody compares! Anyway, I am sure the health visitor will come to see you and she will recommend any tests or follow-ups if she thinks it necessary. Otherwise, if she thinks he’s on the right track, she will say so. But just check, even if it’s just for your peace of mind. Anyway, when mine was 3 she was not really saying much, many words but not very many sentences, just 2 or 3 words, and with a lot of mixing. For us the turning point was going in summer to Spain when she was three and a half. I think it was a combination of things, her being more mature and spending four weeks in an all Spanish environment. When we came back she was speaking both English and Spanish fluently! Funny that, even her English had improved, even though she had only said two words of English all month and she would refuse to talk to dad on Skype in English! I had already been warned that sometimes it is like that with bilinguals, they don’t speak and suddenly it all seems to come flooding out! But it depends on the children, I know bilinguals who were very fluent very early, and bilinguals who took their time, bilinguals who speak fluently but with a thick foreign accent and bilinguals with perfect accents. There are some things you can’t change, your child is his own person. However, there are other things you can influence, like the amount of language you expose him to, how much you take him to France and Italy, the amount of exposure with family and friends using Skype, telephone, meetings, holidays, etc. In my case, I suspect that besides reaching that threshold of maturity at three and a half, the fact that we were in Spain for a month had a lot to do with it. Although I work from home and she has a lot more Spanish and French input than English, it is true that I don’t tend to speak as much as my family does in Spain. I think having people continuously going on about something or other in Spanish had a great part in it. Brilliant website!. I still have a Scientific American issue from the 80′s where they address this topic in the same terms. Even though I’m Spanish, I didn’t come to Spain until I was 8 years old, but my Spanish is just fine. I have a 4 and a 6 year old and we live in Spain. Never have they heard me speak a word in Spanish (I only speak English to them), while my wife does the Spanish speaking. The 6 year old speaks pretty good English (tenses are still a little out of control) with excellent pronounciation but the 4 year old, even though she understands it, she can barely speak it. We follow the OPOL method to the dot but I have a feeling that the 6 year old is slowing down her learning process(even though sometimes I have the feeling she starts speaking English without realizing), and the 4 year old doesn’t seem to be in a hurry to speak. When they talk to me in Spanish I always respond “what?”, and the older one sutomatically switches to English. I guess there is something we’re doing right, but is it enough?. What other measures can I take to make this work? Keep this website up an going!!! What you describe is something that I have heard often from parents of bilingual children. Children have their own personalities and they don´t always go the way we want them to go. However, there are ways to lead them on the right path without them realising it and feeling under pressure. 1. Take them to English speaking playgroups. If there isn’t any in your area you may want to start one, check out our article about starting bilingual playgroups. 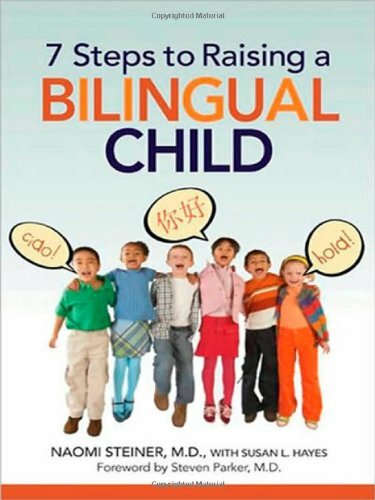 (http://bilingualparenting.com/2014/04/5-easy-steps-to-start-your-bilingual-playgroup/). 2. If you have family and friends who speak English, arrange for your children to speak to them on Skype, phone or in gatherings at home. 3. Take them to an English speaking country, the longer the better. Once in the English speaking country your children will realise they need to speak English to communicate and play with other children. 4. English activity time, when you do something fun that you all three like in English. These are some ideas, other people, may have other suggestions. I sure will. Excellent suggestions. I will indeed keep posting to share the evolution; however it may help others, I’m happy to contribute experiences. Great, Juan. Yes, please, let us know how you get on. Send us an email if you would like to contribute your experience as a guest blogger! Thank you for the article, and all the comments, very useful. I have a question about trilingualism, however. I’m an, er, Ex-Yugoslav American living in a German-speaking environment and a German-speaking husband. Until now, we’ve stuck to the OPOL rule, and our nearly-3 year-old is developing bilingual, doing really well. He’s nearly three. The catch is that I’m bilingual in Serbo-Croatian and English, and I’d like to introduce the 3rd language in the home (though our son is already exposed to it somewhat through grandparents, babysitter, vacations in Serbo-Croatian speaking enviroments). He’s quite weak in the third language, though, and I’m tempted to start speaking it with him, at least in those settings. Is this a bad idea? So, as I understand it, you live in a German speaking environment and your husband is the main speaker of German, hence, German will be the strongest language. You are the main speaker of English, which would be L2, right? English will also be quite easy to reinforce through expats, school, movies, English social groups, etc. However, Serbo-Croatian is your second language and although not directly from you, your son has already been exposed to this language and understands/speaks it to a certain degree? You have a lot of opportunity for exposure, as you say, through family, holidays, etc. Maybe even more than English as you are physically closer to areas where the language is spoken than to the USA or the UK. Personally, I don’t see why you couldn’t introduce that third language, which in a way, you have already done. This may be the only chance your son has to learn Serbo-Croatian, as later on in life, schools and universities tend to teach French, English, etc. From the practical point of view, in my opinion, you will be giving your son an advantage in life. I think you doing 2 languages and your partner doing one won’t be a problem. In fact that is what I do with my daughters, with the difference that you have the advantage of actually be a proper bilingual and also have all the family and country links that will help reinforce the language. So, why not? I’d like to add that OPOL is a good idea when each parent speaks one language and this way they make sure they devote as much time as possible to each language. In my opinion, it’s nothing to do with “getting confused” or “separating languages”. So, if your husband only does one language, and you do 2, obviously OPOL doesn’t apply, for you it would be rather than ONE PARENT ONE LANGUAGE, ONE-PARENT-ONE-LANGUAGE-SECOND PARENT-TWO-LANGUAGES. Really good article. I actually read all the comments but i couldnt find one that fit my situation… So Im pregnant with my first baby, Im Congolese (in Africa) and hubby is Vietnamese. We both live in Canada (francophone part, in Montreal) and we were born here as well. As a kid, my mom and dad would only talk to me in french to make sure I wouldnt struggle with the language at school. Its only when i grew up (24 yrs old) that I learned my mother language (lingala) and im actually still learning ! I would say Im not too bad at it but im just so not use to speak it… On my husbands side, his parents taught him vietnamese when he was little and til this day he only speaks in vietnamese with his parents but he’s far from being perfect (according to him). Together we speak french even tho we also speak good english from what we learned in school, travelling. etc. So, the thing is, we really would like our kids to speak the four languages, lingala, vietnamese, french and english. Its important for us that our kids know their two different culture and that would be amazing if they could be fluent in lingala and vietnamese. We already planned on sending them to a english kindergarden and then, in elementary school, to a program where u spend half of the year speaking french and then the other half speaking english. As for the french language. we wont really focus on it at first since we’re living in the francophone part of the city so its not gonna be an issue for them to learn it, plus me and my husband only communicate in french (I know only little of vietnamese and he doesnt know anyting in lingala). What do you think about the OPOL strategy for us (me speaking only lingala and hubby only vietnamese to the baby)? And do you think that the fact that these languages were not really our first language growing up is goin to be an issue when teaching it to our baby? Thanks for your advice !! Your case is very interesting. When you say that Lingala is not your first language, I suppose it’s true, as you learnt it as a foreign language as an adult. However, for your husband I would say it’s a “native” language, he may not be as good at it as he’s at French, but that’s expected considering that he probably did all his schooling, work and training in French and English and not in Vietnamese. From that starting point, I know British born bilinguals who learnt their second language at home from their foreign parent and continued speaking it to their British born children. So, that case is pretty common. As your husband talks the language with his parents, he will be pretty comfortable, and adding your children to the conversation will only help to enrich everybody’s vocabulary. Once he starts reading children’s books with them and talking to them about everyday life, your husband will also become more confident. In your case, it may not be as easy, but it’s still doable, especially if you still have family around you who speak your language, or can get in touch with family in the Congo through Skype or phone. You will also find out that reading children’s books and thinking about how to say things like “nappy, bottle, bed time… ” will massively increase your vocabulary and confidence. In your case I think that OPOL is the way to go, you Lingala, husband Vietnamese, and the children will pick up some French at home from your conversations in French with hubbie and their environment. You ask: “you think that the fact that these languages were not really our first language growing up is goin to be an issue when teaching it to our baby?”. I think that it won’t be an issue as long as you don’t make an issue out of it. If you start feeling self-conscious about speaking your language, or avoid speaking it in front of other adults because you “feel” that you are not good at it, then your child will pick up these signals. You will devalue the language and your own ability in front of the baby, who then will assume that that language is not really that big a deal, ’cause mammy only speaks it at home, so can’t be that important. If you just keep going, speak it all the time as if it is a normal thing, and make it a central part of your time with your child, then that is the message you will transmit. Of course, there are many reasons why a child doesn’t speak his parent’s language. However, I see many parents who complain about their children not speaking their language, and two minutes later you hear the parent interacting with their children in English! Well, how can you expect your child to speak the language then? The key is in “speaking, speaking and speaking”. He may pick up mistakes from you, incorrect grammar or pronunciation, but so will he if he learns German, for instance, from an English speaking teacher in Canada! Just as clarification, you say that Lingala is your “mother tongue”, this is incorrect. Mother tongue is the same as native language, generally defined as the language you learn as a child and your main language of communication. You learnt Lingala as an adult, therefore is not your mother tongue, your mother tongue is French. Basically, “mother tongue” is not the language your parents speak, it is the language you have been brought up in. In the case of your husband, as he was brought up in French and Vietnamese, he could argue that he has two native languages or two mother tongues. This is what my wife Christy tossed out at me this morning as we were getting ready to go to work. She was talking about the normal morning chaos. In our case this chaos ripples back and forth in English, Spanish and Haitian Creole. English and Spanish with the kids, and occasional Creole between the two of us. We’ve been raising our kids bilingually as non-native speakers, and we’ve been doing this for a decade and a half. l blame Raúl and Ondine. We met Raúl and Ondine in Texas. Raúl was from Mexico and Ondine hailed from Switzerland, and they were raising their kids in a house full of flurries of French, Spanish and English. As new parents, we thought this was pretty awesome. I had learned Spanish in high school/university. My wife spoke Haitian Creole and understood quite a bit of French. What about us? Could we provide a linguistically rich environment as well for our kids? So we grilled R & O on how they managed it. We wanted details! The nuts and bolts. Their advice? Have each parent speak exclusively in one language. In other words, have one parent only use one language with the kids, and have the other parent only use the other language. Raul spoke to his kids in Spanish, Ondine spoke to them in French, and the good ‘ole USA taught ‘em English. Our twin boys were 3 months old when we decided our house would be an English/Spanish household. All I can say is that it made sense at the time. We lived in Texas, many of our close friends were Spanish-speaking and we wanted our kids to be able to see culture from multiple perspectives. Christy would handle the English side of things and I would only speak to them in Spanish. We both thought I knew Spanish “well enough”. Let me just say that new parents rarely ever understand what they’re signing up for. I had a yeoman’s knowledge of Spanish at the time. I could talk with just about any Spanish speaker I met, regardless of area or accent, and have superficial discussions about the things you do when you bump into somebody. I should be able to just use Spanish at home, right? Wrong. I quickly found out that raising kids in L2 is not AT ALL like having a polite, no-worries conversation in the street with someone you just met. Babies and kids require jargon I hadn’t learned from textbooks, news articles or pop songs. How do you talk about the five-second rule for a dropped binkie, whose onesie it is, not taking off nasty diapers, about eating food and not painting walls with it, about tantrums and timeouts and petting cats, all in a language never learned at your mother’s knee? My Spanish-speaking friends gave us lots of help with the “right” things to say, but I had to commit to buckling down to stay ahead of the kids, which was tough when it would have have been SOOOO easy to slip back into English. I also went through a period of linguistic mourning. Our kids would experience something for the first time and something I’d heard my parents say would leap to my lips…and stop. I swallowed every rich linguistic tidbit absorbed from my parents simply because it was in English. All the corny, colloquial English that I loved from my family I held in and didn’t pass on. And as I mourned, I learned to trust that my wife would pass her beautiful English on to our kids, while I stumbled around trying to show all my love to my own flesh and blood in a language not my own. I felt like a linguistic immigrant in my own home. There were many times I asked myself if it was worth it. Christy assured me it was. Was the richness our kids gained living in a multilingual household worth the effort it took? Were the cross-cultural friendships and connections worth the dedication? I’ll leave the countless experiences, friendships and growth our kids have had because of their multilingual upbringing for another blog. I can report that the mourning is over. That language once “not our own” is one that shares the same dignity and pride of place in our home as does English. The flurries of language that flow through our household are interspersed with and punctuated by all the giggles, outbursts, exclamations and expressions of love that we could have ever hoped for. Sometimes, I look at us and shake my head too. Nice article! So happy that I found this. We have 8 months old girl and I’d like to get some advice from you. I’m Japanese, speaking good English and intermediate Danish other than Japanese. My husband is polish and speaks very good English and some minolity languages. We live in Denmark and speak English to each other. Basically i speak Japanese to her and my husband does English. He puts priority to English than polish for the future. I understand his feeling but I have been a bit unsure about mixing that way because we are not always together even though we all are home. Which means that I use English to her in front of husband but soon after my daughter and I go to bed and speak Japanese. Doesn’t this make her confuse? So, in fact I speak three languages to her daily. How do you think about it? After I started learning Danish my English went back. I have been using English daily for 4-5years, danish for 2years. Such things make me feel unsure about what we do to her. There is probably no correct answer because it’s different from each family, but still I’m not sure if it’s ok that “one parent use different language depends on situation”. Give me some your opinions about it please!! Thanks to share your experience with us. It’s very interesting. I read some advice that said that it’s okay to choose a language for a situation if you have more than one language. So, for instance, at the moment I use French with my daughters the day when one of them goes to French school or with French friends, or during our French activity days. This is fine, however, it does have some pitfalls as well, namely, my daughter once said to me that as that day she had gone to “hello” school (English school) we should speak English and not Spanish! Of course, a situation of my own making. I quickly exercised the old and tested, well I’m mum and I know best… probably not a favourite of our modern ways of parenting, but I’m not going to risk my daughter’s Spanish for 5 minutes of freedom. A bit off topic, I know, but I feel quite important too. Basically, yes, it’s okay to use a language in a situation. Your daughter will not get confused, but what I think it’s happening here, is that the one getting confused is you, and you don’t seem at all comfortable with this distribution of languages. If you’re not comfortable you will not use language efficiently and you will transmit this feeling of uneasiness to your daughter. So, you need to do what you feel comfortable with. What follows, it’s now my own opinion, and what I would do if I were in your situation, but please, take this with a pinch of salt and adapt what you feel is right for you. Firstly, your main priority is Japanese, not English and not Danish. Danish she will get from the environment and school, and you can always reinforce it later with extra help if you feel she needs it. You need to concentrate on the Japanese. One, because Japanese is very different from European languages and very difficult, so the more she learns now the easier it will be for her to get to a good level, and learn it more in depth when she’s older. Second, Japanese is not a language that you find on the syllabus in many European schools, it’s not as accessible as English, for instance. Third, you don’t speak English and Danish as well as you speak Japanese, and you’ve said you don’t feel at ease with them. Fourth, I don’t really see a reason for you to talk to your daughter in English. If your husband really wants to join in the conversation and family culture, given he has married somebody from Japan, he may be interested in learning a bit of the language as well. Anyway you can always translate to him into English whatever you’ve said to your daughter in Japanese. This is what people tend to do when the other person doesn’t understand the language, otherwise, it becomes very difficult to try to convince a growing child that your language is important, when the main person speaking it never speaks it in public or even in front of the other parent… it sends a negative message “I should be ashamed of my language”. I know you’re not, but I’ve seem many cases of people who felt embarrassed or pressured to avoid speaking their language to their children in public, and in the end they just gave up altogether. It seems to me you have found yourself in a very complicated situation, and it doesn’t need to be like that. Just speak in Japanese to your daughter, ignore everybody else. If they really need to know what’s been said between you and your daughter, then translate it for them, but make it clear that you’re translating it for their benefit, and not because you feel obliged to do that, and not for your daughter, because her main language of communication is Japanese. Her language of communication with the external world will be Danish, and that’s fine. At home, make it clear to your husband that you will speak to him in English, but to your daughter in Japanese at all times. He then can speak in English to her and to you. Lastly, of course, it’s your husband’s decision, but why does he not speak to her in Polish? Surely, he will want her to speak to her family in Poland and understand the culture? English she will get from school, and if she speaks Danish and studies in a Danish school I’m sure her English will be good as well. However, Polish is not that easy to learn as an adult or as an older child. If he waits until she’s older, she will resist learning Polish as she won’t understand anything! Personally, in your situation, I think the ideal would be you only Japanese, your husband only Polish, you and your husband can speak English, in school and outside she will learn Danish. Maybe relegate English to some situations, say for instance, find a playgroup, or a family activity you can do together where the whole family speaks English, but leaving Polish and Japanese as the main language of communication with daddy and mummy at all times. My wife is pregnant with our first child and our situation is pretty complicated… I am Italian (despite my French name), and speak Italian as mother tongue. My wife is Iranian and speaks Persian as mother tongue. None of us speak almost anything of the other one’s mother tongue and, to complicate the matter even more, we are living in Sweden. We normally speak English together, but we can also speak Swedish and we often do (not as fluently as with English, but well enough). So now that there is a baby on the way we are wondering how to raise him/her. We would love to teach the kid our mother tongues, but the problem is that none of us can speak any of the language of the other. So I guess we cannot apply OPOL, else when we are all three together we would not understand what the other one is saying! So we were thinking to use this strategy: Swedish when we are all three together; Italian when it’s only me and the kid; Persian when it’s only my wife and the kid. In your experience, can such a setup work to make the kid trilingual? I can also add that our parents visit very often (several months per year), with one parent couple speaking only Italian and the other only Persian (extremely limited skills in English). Any suggestion about what to do is very welcome… Should we give up one language? Are we asking too much to the kid? Will our family life be only dominated by language learning, with no time for other normal family activities? We would rather avoid that… Thank you! Thank you for sharing your story with us. It’s quite interesting. You say that OPOL would not be right for your circumstances, however, in my opinion, OPOL is precisely for people in your case, where there is only one parent-one-language. At the moment, it may all look quite complicated because the baby is not there yet, but you will see that the dynamics of the family will fall into place one the baby has arrived, and you start joining baby groups and meeting other parents. You have to bear in mind that Swedish will be the baby’s main language, because he or she will be surrounded by the Swedish world, especially once the child starts nursery and school. Therefore, I wouldn’t worry too much about Swedish at the moment. You will obviously have to support language acquisition and Literacy in Swedish, but you will have a lot of input and help from the environment as well. To get the maximum exposure to the language the secret is in speaking, speaking, speaking. So, if you and your partner speak only Swedish when you are all together you’re diminishing your child’s exposure to Iranian and Italian. You’re also sending the message very clearly from the beginning that “the main language” is Swedish, and Italian and Iranian are second class languages. Maybe this is not your intention, obviously, but this is the perception that the child will have. It does vary enormously from child to child, but in my opinion and experience, there is also an important link between language acquisition and the affective and emotional self. I can see from my own daughters that they feel much closer to Spanish, given that we have family in Spain and travel there a lot, than French, which they understand, because although we have a nice group of friends, it’s not really the same, or at least they perceive it as being “different”. That’s why you have to be careful, if you relegate one language to a “special” circumstance, that’s how the child will perceive it. On the other hand, most parents I know with bilingual or even trilingual kids don’t speak the language of the other person, and this does not pose a problem. You can always learn a little bit, or translate to the partner what you have just said if it’s important. 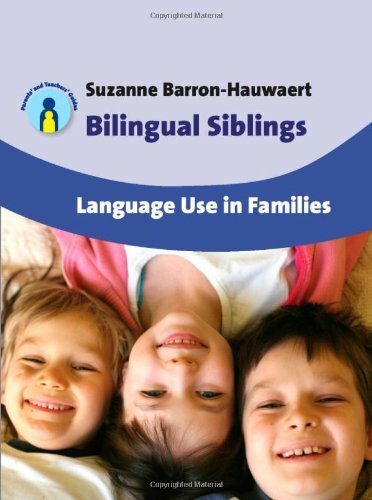 I know many cases where both parents speak their own language to their kids and then English between themselves, and the kids are learning both languages. You life will not be dominated by language learning. You are not “teaching” your children languages, that’s something teachers do, or you do in a workshop or a class. You are just speaking the language in a normal everyday situation as you would in your own country, and your child will be “acquiring” the language. You go on with life as normal, this is very important, because the child needs to realise the languages he uses are just that, normal languages, and you use them all the time in normal situations. There is no reason to change your habits. You may have to think about what books to read, or what cartoons to watch, but that’s not so different form monolingual parents who worry about their kids’ Literacy and languages skills. Hello, thanks so much for this website. I have already learned a lot! I read all above comments and didn’t see a situation exactly like mine, although I think mine is common here in the U.S. I am a naive English speaker, but started learning Spanish in middle school, and have been perfecting it since (12 plus years). I studied Spanish intensely in college and now am a professional interpreter and language tutor in English and Spanish. My husband only speaks English. We are not expecting yet, but have already decided to raise our children to be bilingual in Spanish and English. To do this, we have decided that the OPOL method is best. However, I am not used to speaking Spanish at home, only in work settings. I am more than willing to prepare myself better to speak only Spanish to my child, but I have to admit I am nervous that I will not sound like a native Spanish speaker sounds while speaking to their children. Is it advisable to speak only my second language with my child? Thanks for your input. Hi, thanks for following, and sorry for the late reply. August is a slow month here, and we tend to keep away from computers! Firstly, I must say that it´s great that you´re already planning for your future “little ones”. There are more and more people that, like you, are planning to speak to their children in their second language. It’s not easy, but outside being a “native speaker” or having a live in 24/7 nanny that speaks to your child in the other language is the best way to do it. I think that if you go for the whole immersion thing I would speak only in Spanish to him/her, following the OPOL method. That way your child will get double input, English from your partner and Spanish from you. The more input the better, so that’s why I would say stick to Spanish. Things like the accent and vocabulary can be improved, and always think that many teachers in schools won’t be native speakers. You will have to also build a network around you, Spanish speaking friends, family, etc. But, I think it’s probably easier in the US due to the already important Spanish speaking community there. So, go for it! You may want to practice vocabulary at home, etc. I do the same with French and yes, one of the issues I also encountered is that I could discuss “serious” stuff, but then had to look up words for baby stuff, then toddler stuff, etc. but it’s not a big deal if you are articulate and use a dictionary, the Internet and so on. …I meant that I am a “native” English speaker, of course! I’ve searched everywhere online for the following issue but can’t find the answer. Hopefully, you will be able to shed some light for me. My husband and I are both French and also speak English (bilingual). We have a 2 1/2 year-old son who speaks mainly English although he knows some French words and can count up to 10 in French. While I think the OPOL approach is very excellent, I feel that my husband, with his long work hours away from home, won’t be able to talk to our son much during the day in French (while I’m the English-speaking parent) so the OPOL balance is compromised. Would I have much success with this approach if employed all day? I assume you live in an English speaking country? If you live in an English speaking country and both of you speak French, in my opinion, the best way forward is speaking only French at home. If you say a sentence in English and then translate it in French, one, you will get tired and bored of doing it and eventually will give up all together, second, children (and adults) have very limited attention span and a great ability to filter unnecessary information/noise, so if you say “Are you hungry? Tu as faim?”, as soon as my mind has got the meaning “Are you hungry?” it will just filter out anything that follows. Do this little experiment, get your husband to record a monologue at normal conversation speed, then try to transcribe it… you will start realising that although we understand “spoken word” when you have to write it down word by word, exactly as it was said, there are lots of words that you quite don’t here, or you have to go over the recording several times to get the exact phrasing. Repeating things twice also sends the message that you don’t quite need to understand the language as you get the translation anyway. Also, communication is two ways, so what is your kids going to use to reply to you? English or French? If you live in an English speaking country, I would just stick to French at home. I would really appreciate if you could give some advice on my situation with language complications with my 1 y.o boy. I’m Russian, my husband is Italian, between each other we speak English, and we live in Japanese society. So from the begining baby is exposed to 4 languages, but we got a bad advice and I was speaking to baby English exclusively forcthe first year of his life (though he was always hearing me speaking Rus language on the phone), and my husband speaks Italian to baby. Right now, I would like to switch from Eng (anyway in 6 mths he will stand Eng speaking kindergarden) to Rus as I feel more confident to speak my mother tongue and I want my baby to speak it well, but I’m afraid to traumatize the baby. As he already understands meaning of words in Eng and he starts crying when I sing lullabies in another language to him. Did you heard about families having similar situation and how is it possible to resolve it? Sorry, I didn’t reply when you posted. I hope the situation has been resolved now. It would be interesting to see the path you took. I agree that the OPOL is more of a rule of thumb, especially in settings where the child has access to both languages. If that access is limited by geography (or culture in some parts of the US ), for example, I do think OPOL should be a bit more strictly enforced to make sure the child continues to hear the ‘minority’ language regularly. Kids are so smart, and they quickly learn when to use when to use which language. My son is almost two and is learning English and Spanish (and doing quite well!). My wife speaks almost exclusively English to our boy, and I speak almost exclusively in Spanish. We do occasionally speak the other language to him, but I think that’s natural when you have bilingual parents. I also think that it will have little impact, like you say. He already has a sense for which language to use! When he wants something he will turn to me and ask in Spanish. If he goes to my wife first he’ll ask in English! He also does another thing I find absolutely fascinating: sometimes he will try asking for something in one language, and if he doesn’t get the response he’s looking for, he’ll ask in the other!